For some parents and babies, mealtimes could be a daunting task. 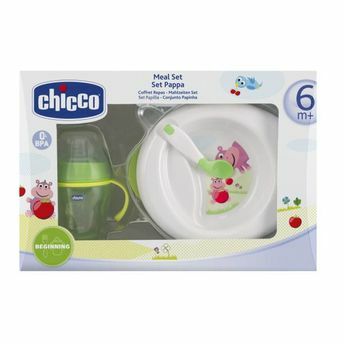 The tableware range by Chicco is specifically designed to make mealtimes effortless and peaceful for both. This is a perfect meal set that contains a dish to help your child eat independently due to its non-slip base and a special area to rest the spoon. It has cutlery with ergonomic grip and a meal cup with a tilting base and non-drip system.